The Phase 90. A classic example of beautiful simplicity. But which do you prefer? The classic, smooth sounding “script” logo version, or the newer and more in-your-face “block letter” one? Lucky for you it is the twenty first century, and we don’t have to make decisions like that anymore. In this case, it is thanks to EVH, arguably the most well-known user of this classic pedal. 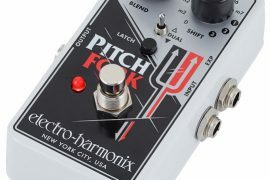 With the addition of the script button, MXR has given us the answer to the question of which Phase 90 one should get. 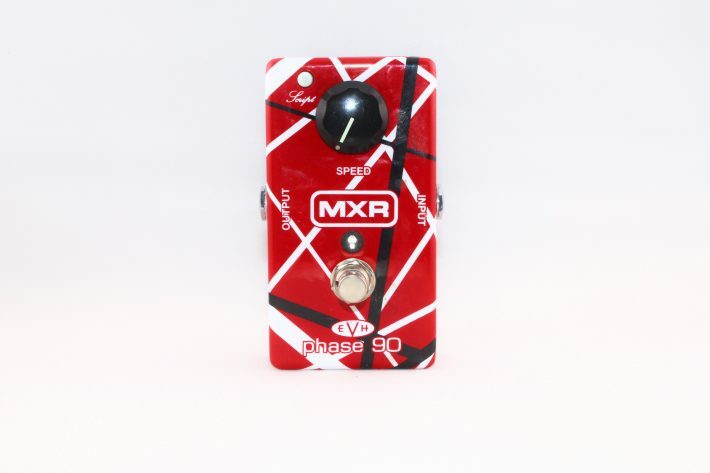 The MXR EVH Phase 90 features a single knob that controls the rate of the phasing effect. 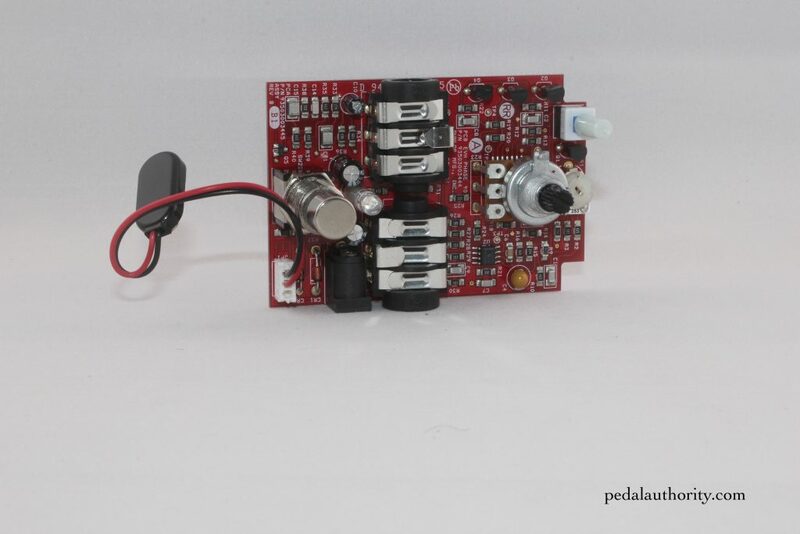 If you are looking for something like an EHX Small Stone, which allows you to control other parameters like depth and level, then look elsewhere (Azor happens to make an extremely inexpensive multi-control phase pedal if you are just looking to get your feet wet with a slightly more complicated phase circuit). 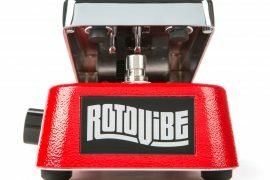 If however you happen to like how MXR has voiced their phase pedal offerings, and you are a member of the set-it-and-forget-it club, then you know that the classic single-knob pedals are hard to beat. Despite the limited number of controls that the Phase 90 has, the knob actually covers quite a broad range, from a slow, almost imperceptible phase rate, to a full-on Leslie-ish psychedelic warble. 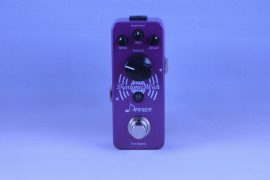 The knob is sensitive, but easy to control thanks to its oversized design, and unlike the other Phase 90 pedals, this one has a knob that has been painted with glow-in-the-dark paint, to make checking and changing your setting easy in a live situation. We know from interviews that EVH himself still turns his own knobs on his pedalboard, so it comes as no surprise that a small but crucial detail like this would appear on something that bears his initials. 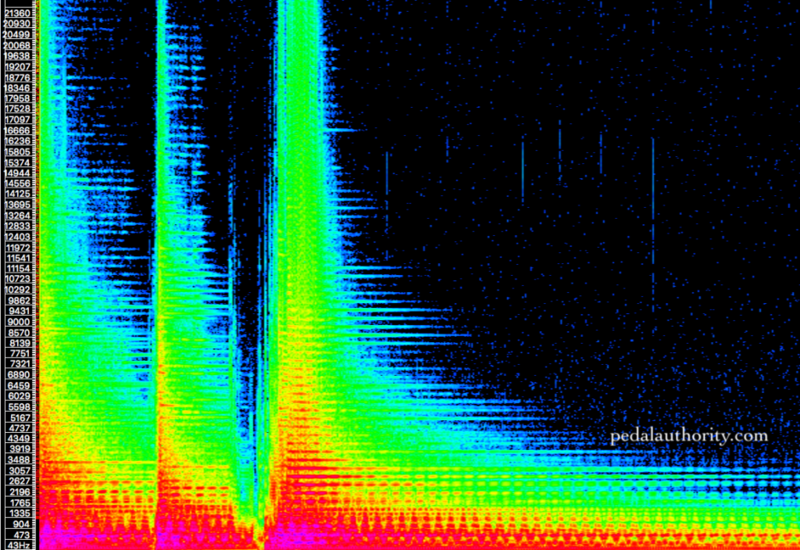 In general, we found that the most characteristic EVH tones were to be found between the 9:00 and 2:00 range. From Ain’t Talkin’ Bout Love, to Eruption, to Atomic Punk (actually basically all of that record…the solo on Ice Cream Man is of course stunning, and features a healthy dose of the Phase 90) This range has got you covered. Despite the lack of a level control, MXR has been careful to construct the circuit so that the pedal does not lower your signal. 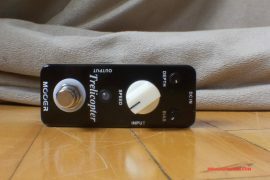 Remember that EVH originally used it to boost his signal for solos, way before the days of the Tubescreamer or the Klon. Remember too that it is not just how you set the knobs on a pedal, but where in your signal chain you place it, that will determine the effect it has on your sound. When dealing with an old-school design it can be helpful to adopt an old-school thought process. EVH places his Phase 90 before his amp’s preamp (if you are getting your distortion from a pedal, this is equivalent to running the Phase 90 before any type of overdrive or distortion), but you can get some radically different sounds out of this pedal by changing the placement. 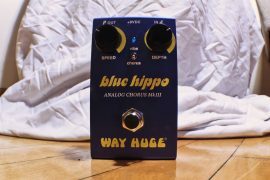 Put it after your distortion pedals (or in the effects loop of your amp), and experiment with putting it before or after any other modulation pedals. 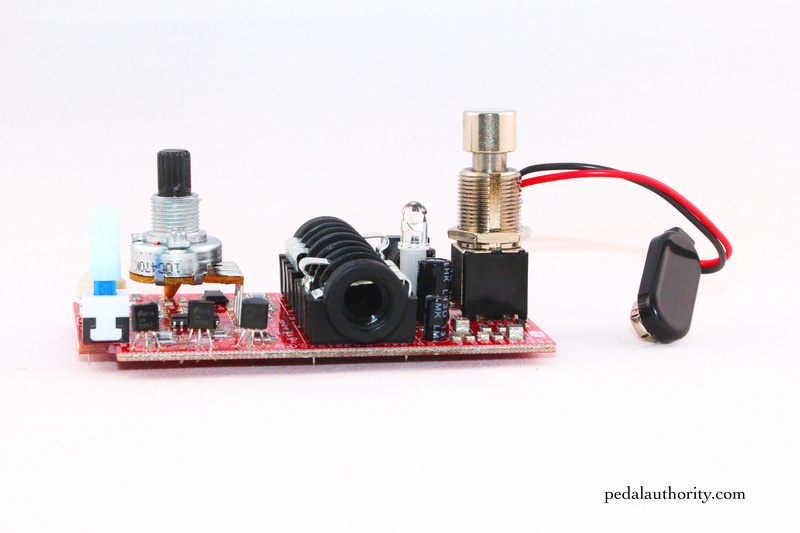 If you happen to be in the mood for a dose of some unexpected fun, run it after your wah pedal. All this to say that fewer knobs does not necessarily mean fewer tonal options. As has been mentioned, the script button allows you to toggle between the sound of the classic Phase 90 circuit, and the newer one. Apparently the EVH Phase 90 does not actually contain both physical circuits, but the folks at MXR have found a way to emulate the sounds of both circuits. To our ears, the script button is a success. 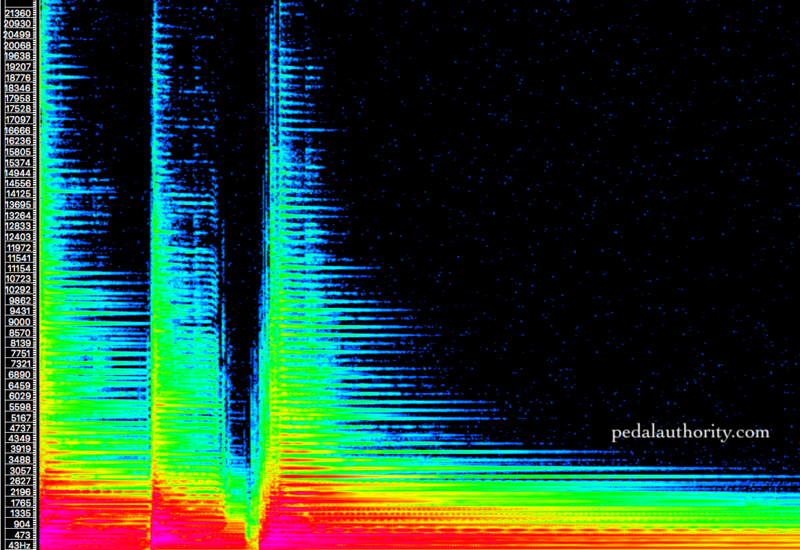 When pushed in the script mode is activated and the pedal produces a smoother phasing effect. 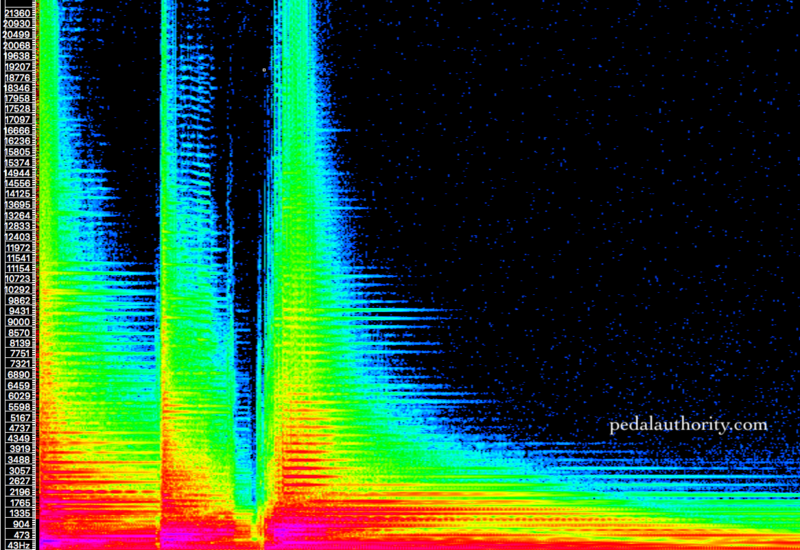 We found that this mode is great for higher gain situations, where excessive modulation would muddy up the signal. However, with a clean sound, the default (non script) mode contributes just enough presence to sharpen the modulation effect, which as it happens is perfect for clean disco and funk applications, and of course for any psychedelic journeys you may be embarking on. 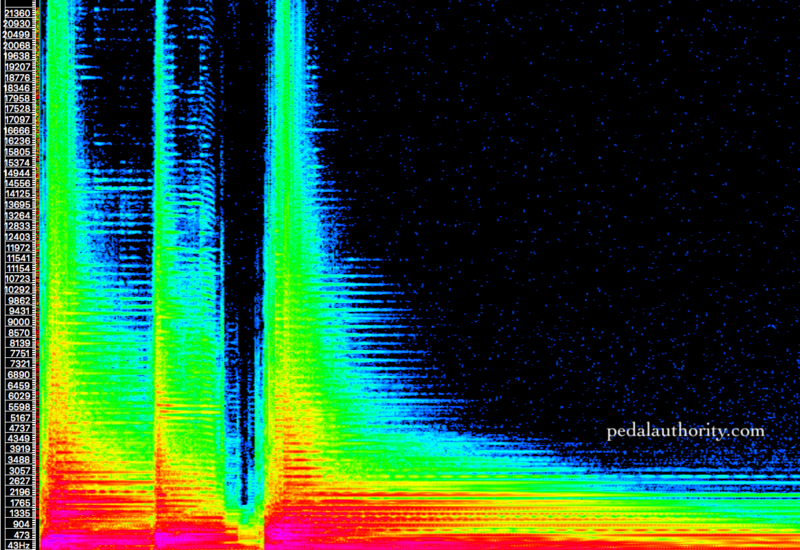 To see a more detailed comparison of the two different modes, check out our spectrographic analyses (below). Moderate amount of signal loss here, particularly in the upper frequencies. A bit of presence added by the buffer, especially in some of the lowest frequencies. However, there appears to be no drastic gouging of frequencies, nor any harsh artifacts added. A noticeable amount of difference here compared to the same knob setting with the Script OFF. Notice that when Script is engaged, the effect is more subtle. 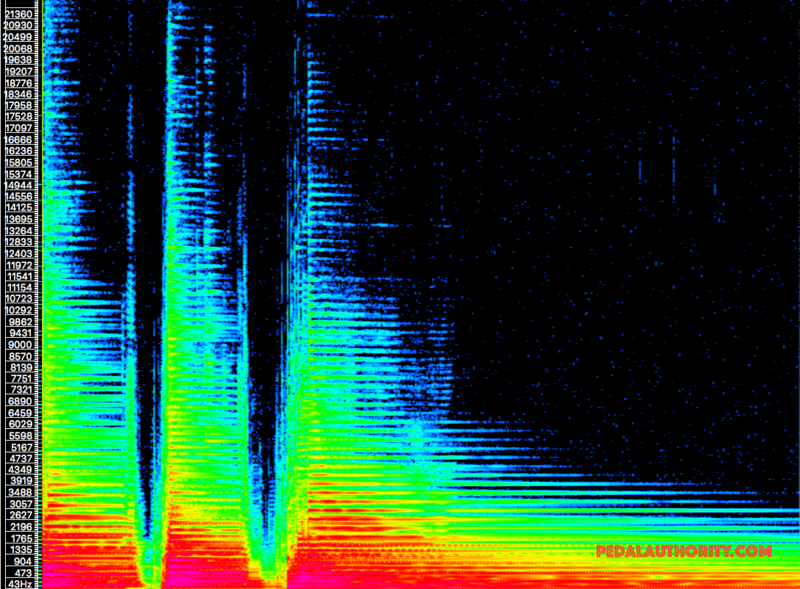 You can see that this is particularly apparent from ~2kHz to ~20kHz. You can see, especially in the lower frequencies that the intensity remains markedly different between the two modes, with the Script OFF mode being more intense. However, notice that with the phase rate turned this high, the difference between the two modes is less pronounced in the middle and upper frequencies. 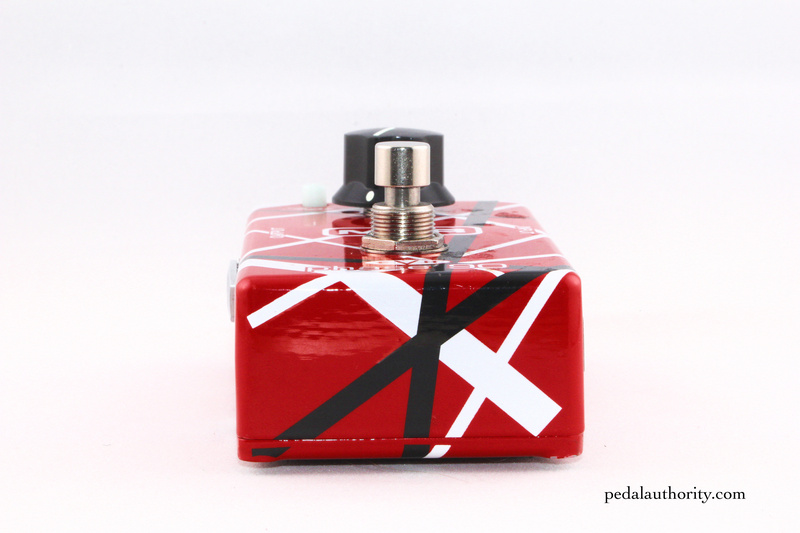 Don’t be fooled by the EVH paint job, this pedal is more than a signature pedal limited to a couple of tones. The MXR EVH Phase 90 has all the options you need to cop tones from every iteration of the Phase 90. Plus it happens to be less expensive than a script logo reissue and significantly less expensive than an original. And for those of you purists out there who insist that this model will never be as good as an original, know that the EVH Phase 90 is what the man himself has been using on his own board since it came out over ten years ago.